After a very long 2 1/2 day series of flights – Los Angeles to Seoul to Bangkok to Kathmandu – I’m here! 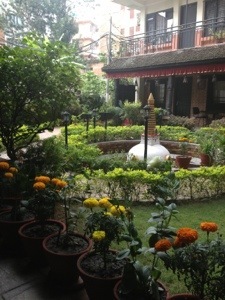 For now, I’ve chosen Thamel Eco Resort as my home base hotel. 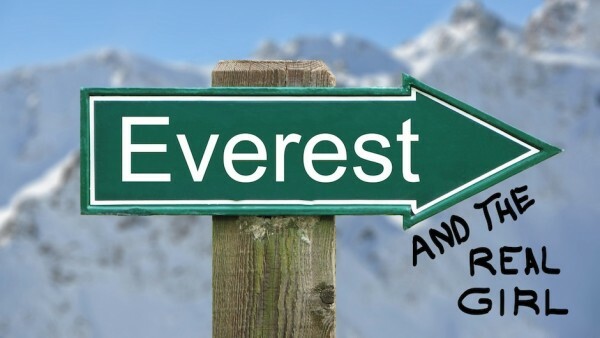 I leave for 9 days in Bhutan on Thursday. 1. Always book your own hotels, even if it seems more convenient to have the agency book it for you just this one time. They will get you the worst room at the most jacked up tourist price. You can always do better on your own. 2. The Bangkok airport is fascinating at 4am. 3. Solar Oil saves your cuticles from the dry air of airplanes and altitude. Ask your manicurist or get it at a beauty supply store. Don’t accidentally pack it in your checked bag. 4. Solo travel can be lonely. Breakfast was nice, and I met a few other travelers who were alone at the moment, but joining tour groups later today. I had some nice conversations until their tour leader arrived and activities started. Then I ceased to exist as they went about doing what they paid to do, and getting to know one another. It’s very quiet here now. 5. I can blog from my iPhone! This is a total experiment, so I apologize in advance for the inevitable glitches. Pretty cool though. I’ll be wandering Thamel today, probably camera-less, just soaking it all in. I like to spend my first day (after sleeping 16 hours) just feeling out the vibe of a city. Later, I’ll make plans and See Things. For now, I’ll just Be Here.